The call of the Silk Road embraces over two millennia of travels of conquest, commerce, and plain curiosity. 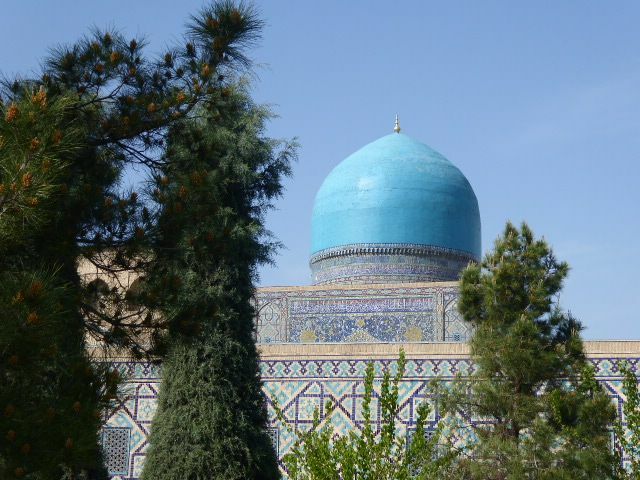 Modern Uzbekistan still offers travelers the traditions of craft, unique heritage sites, and warm hospitality. 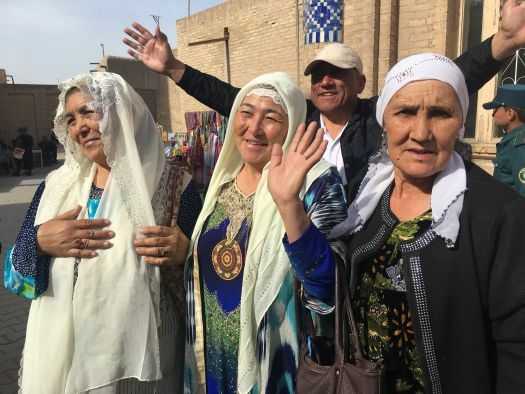 Judie Dysart and Geri Forkner will take us for a look at this wonderful place on the other side of the world, showing us textiles and photographs of their adventures during a visit to Uzbekistan in April 2018. Judie is a past president of CHG and paper box artist living in Tusculum, Tennessee. Geri Forkner, a multi media fiber artist and teacher who does Nuno felting, electronic textiles, and weaves small pieces daily. Geri lives in Sweetwater, Tennessee. Geri and Judie both travel extensively pursuing their love of textiles.